Let our certified expert project managers make your life easier! A thoughtful approach to each project, providing you with actionable reporting. Our surveys/audits are customized to fit your company or brand. We create visually appealing, easy to navigate surveys and audits. 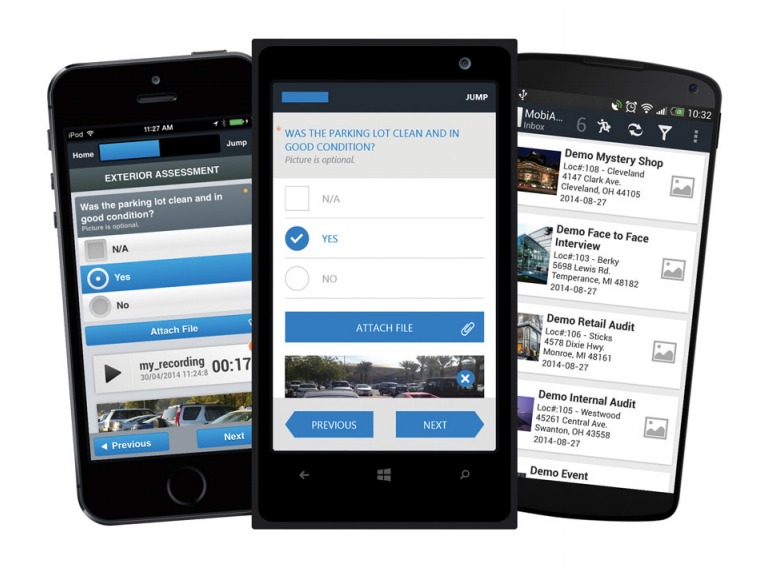 If the survey needs to be customer or clerk facing, we create engaging and fun to use surveys for use on tablets or smart phones. We can incorporate brand images, logos, or any other multi media you may require. The data collected is securely sent to the client analytics portal and can be viewed at any time by any number of client users you choose. You are able to see live results as they roll in or wait until the conclusion of the project to receive a comprehensive PDF report with all relevant data collected. This client analytics platform allows you to see the big picture or focus in on the most minute detail at the click of a button. MarketAudit is the complete mobile survey solution for the Market Recon platform. This is a downloadable app created specifically for our agents. MarketAudit includes fraud eliminating features, multimedia content, smart survey automation, an off-line mode, and an integrated job board. MarketAudit can be used to complete any type of audit your business requires including Price Compliance, I.D. Compliance, and more.